Most of us will never try to raise money for a project we are working on. 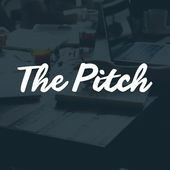 I have not done it for my passion project (yet), but I do listen to many productivity podcasts (see my favorites here), and one is called The Pitch. In one segment of this week’s episode, one guest listed the possible types of pitches, each relying on one particular strength. She listed three T’s, plus Vision, which I have renamed to Telos (an ultimate object or aim) so that we have 4 T’s. Remember, you pretty much can only rely on ONE of these in a good business pitch, so pick your strength. Traction – your company already has a growing base of customers – but not just growing, but better than your competitors in the same space. Team – the people on your team have accomplishements and connections within the industry from previous work. They are uniquely positioned to put your company in the lead of the pack. Technology – you have invented some new technology or game-changing combination of tech that can impact the industry. While many founders may think they have this, most don’t. Think iPhone or Uber. Telos – The end vision you have in mind. If you don’t have any of the previous strengths, you have to rely on your ability to inspire others with a vision. Investors will only go with an untested vision if the founder themself is compelling, not just the picture they paint – investors in this position want to invest in a person, not just a vision, who will persevere with enthusiasm and genius. This is hard to sell, but can happen. Comments? I found this list helpful.